Publication: Libutzki et al. “Direct medical costs of ADHD and its comorbid conditions on the basis of claims data analysis”, European Psychiatry. Having ADHD is expensive. A study of German insurance data has shown that the medical costs of a person with ADHD are 1500 euro higher per year, compared to a person without ADHD. But that’s not all; individuals with ADHD are far more likely to suffer from additional conditions such as mood and anxiety problems, substance abuse or obesity. Treatment of these conditions can cost up to an additional 2800 euro per year. As ADHD – especially in adults – is still poorly recognised and diagnosed, these numbers may not reflect the complete picture of ADHD medical costs. Improving diagnosis and adult mental healthcare may prevent mental health problems later in life and actually reduce costs, argue Berit Libutzki and her co-authors. ADHD (Attention Deficit / Hyperactivity Disorder) is a developmental condition. Symptoms arise before the age of 12 and are characterised by age-inappropriate and impairing behaviour in terms of problems with attention, impulsivity and hyperactivity. World-wide prevalence of children with ADHD is estimated around 5%, while in adults this is around 2.5%. This means that in about half of the children problems do not subside with age. For these people, ADHD is a lifelong condition that often impairs health, career and social life. To estimate the economical costs of ADHD, Berit Libutzki and her colleagues from HGC Healthcare Consultants GmbH analysed the (anonymised) health insurance data of almost four million Germans. They compared the medical costs of people with an ADHD diagnosis to those of a well-matched group without ADHD. The results showed that the medical costs of a person with ADHD are on average 1508 euro higher than those of a person without ADHD. These costs are mainly due to treatments in hospitals and by psychiatrists. ADHD medication itself (such as Methylphenidate) are in third place, contributing to only 11% of the additional costs. Other interesting findings from the study are that medical costs are a bit higher in women compared to men, and that costs are much higher in individuals over 30 years old compared to younger age groups. After the age of 18, the costs of for example ADHD medication drop, while psychiatrist costs and costs for other (non-ADHD) medications increase notably. Also sick payment is high in adult ADHD patients, leading to a significant increase in costs. One of the explanations for these cost increases could be a gap in care after leaving the regular care of a paediatrician at age 18, and the development of disorders that arise in addition to ADHD. It has been shown before that having ADHD puts you at a much higher risk of developing additional (comorbid) disorders. Mood disorders – such as depression – and anxiety are most frequent; in the German data two-thirds of ADHD individuals over 30 had such an additional diagnosis (compared to only a fifth of adults without ADHD). Substance abuse and obesity are more common in people with ADHD as well. These comorbidities should not be underestimated as they add strongly to the burden of disease. The study shows that substance abuse and morbid obesity are even the most costly, especially in adulthood. In total, the surplus costs associated with these conditions are 1420-2715 euro higher for ADHD individuals, compared to individuals who suffer from mood or anxiety disorder, substance abuse, or obesity alone. Scientists think that certain genetic factors that play a role in ADHD also make a person more vulnerable for these comorbid health conditions. Libutzki and her team are part of the European research consortium Comorbid Conditions of ADHD (CoCA) that investigates the shared biological mechanisms of ADHD and these additional disorders. “Through this research we hope to find leads to prevent these disorders from developing, and improve mental health care.”, says the leader of the CoCA consortium Prof. Dr. Andreas Reif of the University Hospital Frankfurt. There is one caveat in the study by Libutzki, that is also acknowledged by the authors: many people, especially adults, are not diagnosed with ADHD, even though they experience the symptoms. “Our knowledge gap is especially large in adulthood”, says Dr. Catharina Hartman from the University Medical Centre Groningen, The Netherlands. “The prevalence of adult ADHD in the health insurance data was very low (0.2 %). Given that the population prevalence for adult ADHD is 2,5 %, this indicates that many adults with ADHD are currently not diagnosed or treated. They may nonetheless make high direct costs since their ADHD may not be recognised, or they make indirect costs through unemployment or criminality.” This would indicate that the costs reported by the study are underestimated. On the other hand, adults often find out about their ADHD only after consulting a psychiatrist for other mental health problems. This would indicate that estimated costs and prevalence of comorbid disorders with ADHD in adulthood are overestimated, compared to when you were to include also all undiagnosed people with ADHD, and diagnosed persons who do not make costs (i.e. milder cases of ADHD). The study thus provides a partial view on the costs of ADHD during the lifespan. That said, it is among the first to show in detail the lifespan medical costs of ADHD and comorbid disorders in Germany. These findings are likely to be representative of other western-European countries. Policy makers in these countries are strongly advised to investigate ways to improve the transition from child to adult mental healthcare and increase awareness about adult ADHD. This will not only improve the quality of life of many adults but may also save money. Click here to get to the publication. Our submission for a CoCA symposium at 7th ADHD World Congress on ADHD was accepted and multiple partners from the project will speak during the session “”ADHD and its comorbidity with psychiatric and non-psychiatric disorders accross the lifespan (EU Consortium CoCA)” on 25th April. Click here to see the full programme. A CoCA symposium was accepted for the 18th International Congress of ESCAP, which will be held in Vienna, Austria, from 30 June – 2 July 2019. Click here to see the full programme. Watch our interview with Andrea Bilbow, president of ADHD Europe, on YouTube! Watch our interview with Ken Kilbride, chief executive of HADD-ADHD Ireland, on YouTube! The CoCA symposium titled, “Biological Mechanisms Underlying ADHD Comorbidities” has been accepted for presentation at the Society of Biological Psychiatry’s 74rd Annual Scientific Convention, May 16-18, 2019, in Chicago, Illinois. ADHD Awareness Month 2018 – Shine a light on ADHD. The video was created by Laura Ghirardi, Nicoletta Adamo, Arjan de Brower, and a number of early career researchers from the MiND consortium; it was filmed and edited by the company “4QFilms”. The project was supported by generous funds from the EU-Funded projects MiND, Aggressotype, CoCA and Eat2BeNICE. You can watch the documentary here and also read more on our blog Mind the Gap. Do you want to help us spreading awareness about ADHD? Then share this video with everyone you know! The video also contains subtitles in English, Dutch, German, Spanish, Italian, Swedish and Hungarian (and more languages may follow). HADD-ADHD Ireland along with the CoCA EU Project and Trinity College hosted an event on ‘Adults and ADHD’. HADD-ADHD Ireland along with the CoCA EU Project and Trinity College are delighted to announce a FREE talk on ‘Adults and ADHD’, which will be held Tuesday 20th March, 7.00pm – 9.30pm. Take a look at the Flyer for more information. The recruitment for the PROUD study within CoCA is ongoing. If you are interested in taking part take a look at these recruitement flyers from our recruitment sites in Germany (adults, adolescents), UK, Spain and the Netherlands and get in contact with them. You can see Oliver Grimm from CoCA Coordinator GUF talk ADHD, obesity and the reward system in newly uploaded CoCA webinar. Meet CoCA’s early career researchers Elena Koch from the Karlsruhe Institute of Technology and Nina Roth Mota from the Radboud University Medical Center. Jeanette Mostert, part of the CoCA team at RUMC, took on the challenge to explain CoCA using only the 1,000 most common words used in the English language (thanks to: http://splasho.com/upgoer5/).​ This may not capture all the details of the project, but should give you a general impression of what our research is about. To download the CoCA poster and flyer, click on the links. Aggressotype researchers (incl. CoCA members) together with the patient organisation ADHD Europe defined patient-friendly dissemination guidelines for Aggressotype and CoCA research (Click here to download the dissemination guidelines). Various ‘Ask the ADHD Experts’ sessions have been added to the ‘ADHD in Adults’ website, incl. session by CoCA partners on ‘ADHD and Bipolar Disorder’ (Andreas Reif, GUF), ‘ADHD and emotional dysregulation’ (Philip Asherson, KCL), ‘medical treatment of young ADHD prisoners’ (Philip Asherson, KCL), and ‘ADHD – Facts and Fiction’ (Stephen Faraone, SUNY). Click here to subscribe and watch the session. In Episode 2 of ENIGMA’s interview series, ENIGMA-ADHD chairs Martine Hoogman and Barbara Franke (RUMC) discuss their recent work published in The Lancet Psychiatry. Their findings show structural differences in subcortical brain regions in MRIs of patients with ADHD. Attention deficit hyperactivity disorder (ADHD) is a mental health condition that rarely occurs alone. More than 80 percent of adult ADHD patients suffer from a comorbid disorder, meaning there is at least one additional disease co-occuring with the primary disease. In the case of ADHD, two common comorbid conditions are obesity and major depressive disorder, Therefore, the risk for comorbid obesity and major depressive disorder is increased in adolescents and adults with ADHD. Moreover, a disturbed circadian rhythm and altered sleep are key features of ADHD. Bright light therapy, a so-called chronobiological modification, improves the day-night (circadian) rhythm and is an established therapy for major depression in adolescents and adults. Exercise prevents and reduces obesity in adolescents and adults along with improving depressive symptoms. While these non-pharmacologic treatments are known to modulate dopaminergic transmission (DA) and circadian rhythm (CIRCA), two key mechanisms regulating mental wellbeing, no study has assessed their effect on ADHD and its comorbidities in an experimental setting yet. PROUD is therefore the first large scale, multicentre study to systematically evaluate the role of DA and CIRCA and scrutinize their potential relevance for developing disease biomarkers and thus obtaining measurable indicators for predicting and treating these ADHD comorbidities. “The idea here is to employ non-pharmacological methods to improve patients’ lives. There is a well established drug treatment for ADHD with stimulants – methylphenidate being the most famous one. 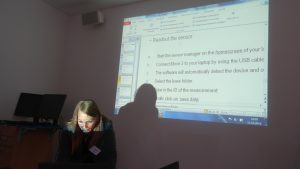 However, that is only one step and we want to make use of the knowledge that sports on the one hand and bright light therapy on the other hand showed promising initial data to improve patients’ lives with ADHD”, says CoCA project coordinator Andreas Reif, Chair of the Department of Psychiatry, Psychosomatic Medicine and Psychotherapy at the University Hospital Frankfurt in Germany. The mHealth App was specifically developed for the PROUD Study with the aim of keeping the patients motivated. “We achieve this by showing them videos of exercise, sending reminders as well as a daily feedback and summary on their achievements”, trial coordinator Jutta Mayer explains. 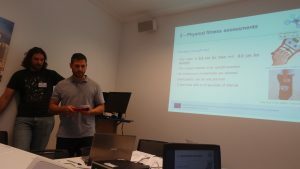 The study has started with its first participants at the University Hospital of Frankfurt in late March 2017. The CoCA team expects first results and insights by the end of 2017. Prof. Dr. Barbara Franke was invited to become a member of the Royal Netherlands Academy of Arts and Sciences (KNAW). The Academy is an organization dedicated to the advancement of science and literature in the Netherlands. In addition to various advisory and administrative functions it operates a number of research institutes and awards many prizes. The Academy is an important advisory organ to the Dutch government on scientific matters; it offers solicited and unsolicited advice to parliament, ministries, universities and research institutes, funding agencies, and international organizations. The members are appointed for life by co-optation. The acceptance criterion is delivered scientific achievements. The invitation to join KNAW comes only two months after Barbara Franke’s installation as an elected member at the second scientific Royal Society in The Netherlands, the Royal Holland Society of Sciences and Humanities (KHMW). During the World Congress on ADHD in Vancouver, CoCA representatives sat together for a Round Table with the industry (Shire, Medice, Nesplora, NeuroConn and SFI). 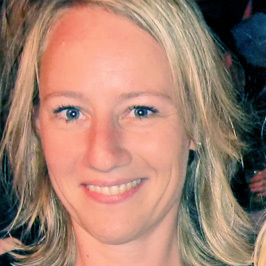 A paper by Martine Hoogman from CoCA partner RUMC on ‘Subcortical brain volume differences in participants with attention deficit hyperactivity disorder in children and adults‘ has led to wide media feedback, which will hopefully help to reduce the stigma still attached to the disorder. The paper was covered by CNN, CBS, The Time Magazine and many more. Click here to see the a list of news reports. CoCA’s first webinar featuring Prof. Philip Asherson (King’s College London) talking about ‘ADHD and its comorbidities from a clinician’s perspective’ is now online. Prof. Andreas Reif, coordinator of the CoCA project gave a talk on ‘The development of the clinical presentation of ADHD through the lifespan’ at ECNP 2016 (17-20/09/2016, Vienna). Click here to watch the talk. A second talk was given by J. Antoni Ramos-Quiroga on ‘Emotinal lability: its value in the differential diagnosis and treatment of ADHD’. 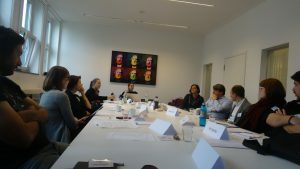 A kick-off meeting was organized in Frankfurt, Germany for CoCA’s randomized, single-blinded, controlled study. The aim of this meeting was to allow for a standardized conduct of the study at all clinical sites (GUF, VHIR-BCN, KCL, and RUMC). Therfore, talks were given on e.g. 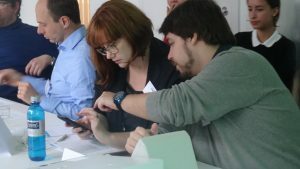 data management and monitoring and workshops were held on using the m-Health system, the Bright Light Therapy, and assesing body measures in the course of the PROUD study. Prof . Jan Haavik from the University of Beregn received the Helse Vests research award for his work on the molecular underpinnings of ADHD. The whole CoCA consortium congratulates him on this achievement. 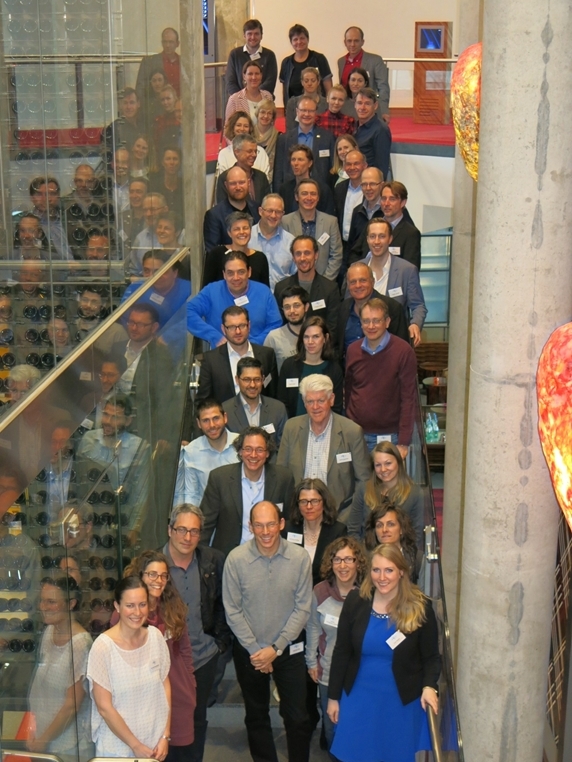 With an inspiring three-day meeting, the international research project ‘Comorbid Conditions in ADHD’ (CoCA) was successfully kicked-off in Frankfurt on March 1 to 3. The CoCA programme is a new EU-funded project on biological mechanisms shared by attention-deficit/hyperactivity (ADHD) and several of its most frequent psychiatric and somatic comorbidities, i.e. anxiety/depression, substance use disorders, and obesity. In fierce competition, the CoCA project was selected for funding from over 300 submitted proposals, together with only six others. 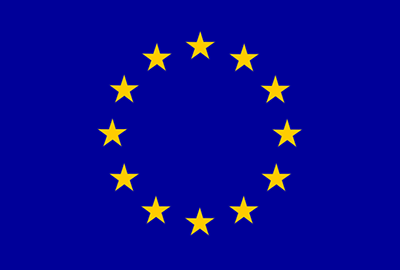 CoCA will receive 6 Mio Euro for research from the European Commission during the next 5 years. 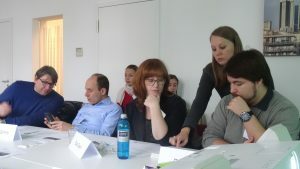 This funding will provide the 17 partners from 8 European countries and the US with the opportunity to investigate the role of dopamine neurotransmission and the circadian rhythm machinery (as well as additional relevant biological processes to be identified as part of CoCA) in the co-occurrence of the different disorders. In addition, they will perform randomized clinical trials for two non-pharmacological, inexpensive, and easy accessible interventions, i.e. physical exercise and bright light therapy, to study their potential to prevent ADHD comorbidity. In stimulating and fruitful discussions, the 45 meeting delegates finalized plans for a total of 11 comprehensive and highly complementary work packages during the Kick-off meeting. 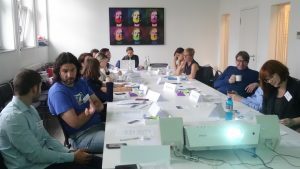 Amongst the project partners are also a representative of the European patient support group ADHD-Europe, which will actively contribute to research and dissemination of CoCA and US-based and German leading experts, who form the Scientific and Ethics Advisory Board of CoCA. More than 21 million people suffer from ADHD in the EU, with direct medical cost and loss due to decreased productivity adding up to over €70 billion per year. ADHD, being a childhood-onset disorder, forms the entry route into a (preventable) negative developmental trajectory later in life; importantly, more than 80% of adult ADHD patients suffer from a comorbid disorder. However, exact numbers of ADHD patients suffering from the comorbidities under study is not yet available. CoCA will provide such information, based on large epidemiological data sets, and – for the first time – will calculate the costs associated with such comorbidity. Through the research approaches taken in CoCA, we hope to raise awareness for ADHD, reduce the stigma associated with this disorder, and empower prevention and therapy approaches. The CoCA programme is coordinated by Prof. Andreas Reif from the Goethe University in Frankfurt, Germany.